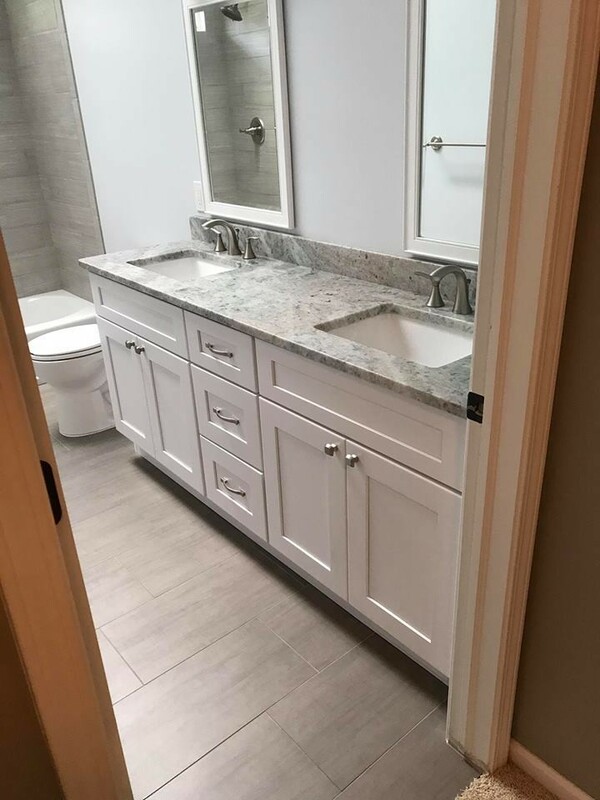 White shaker cabinetry. 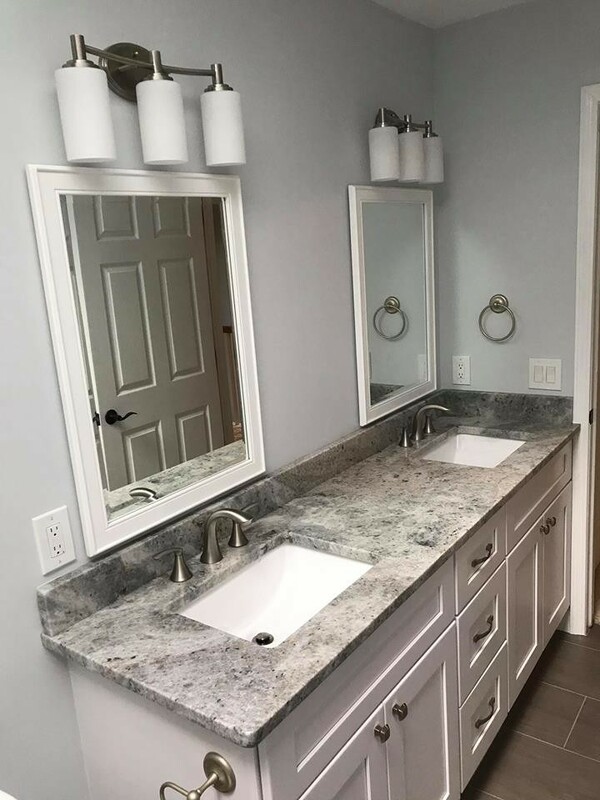 Fantasy gray granite countertops. 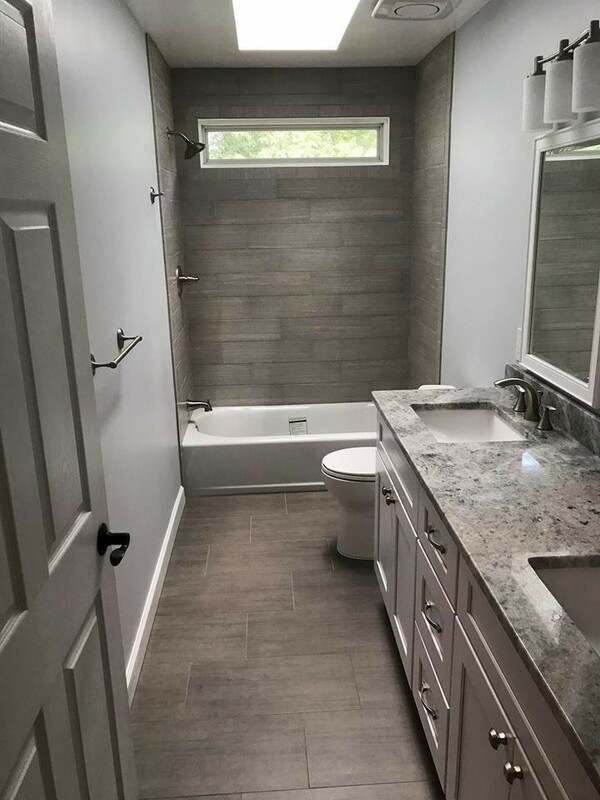 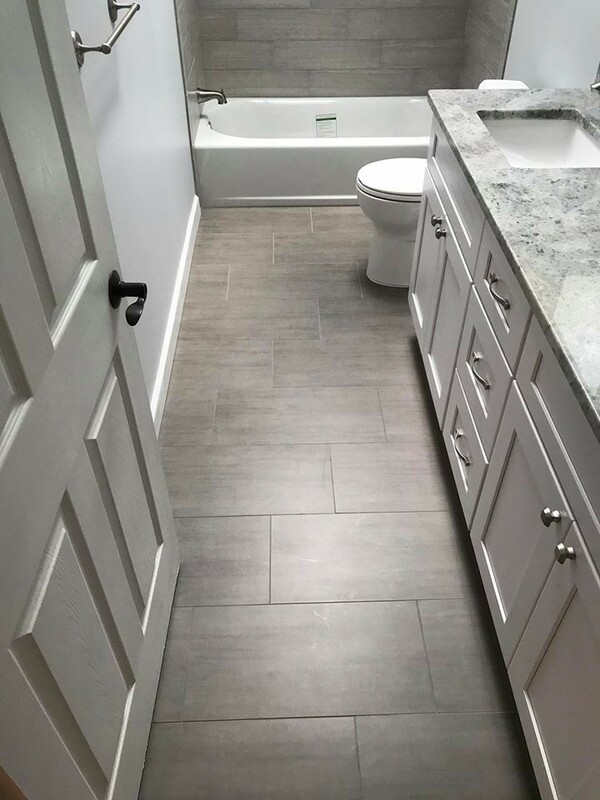 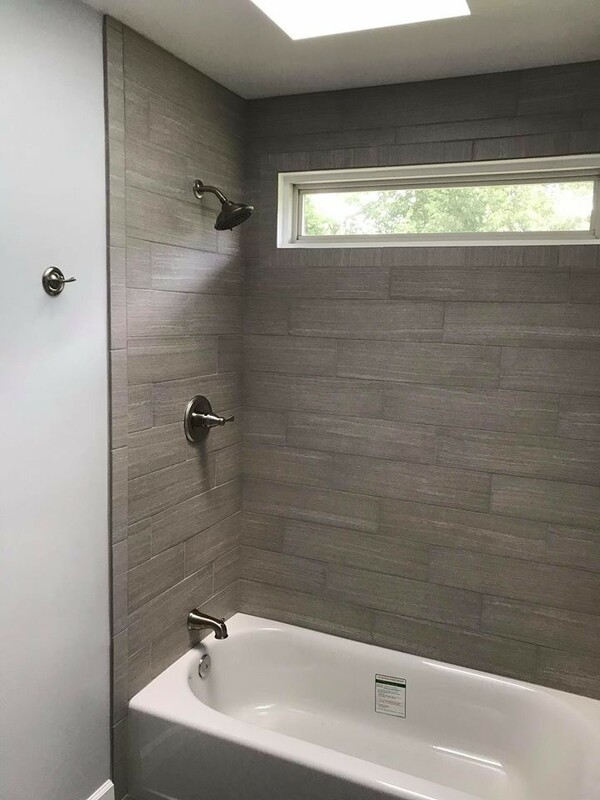 6" x 24" wall tiles and 12" x 24" floor tiles. 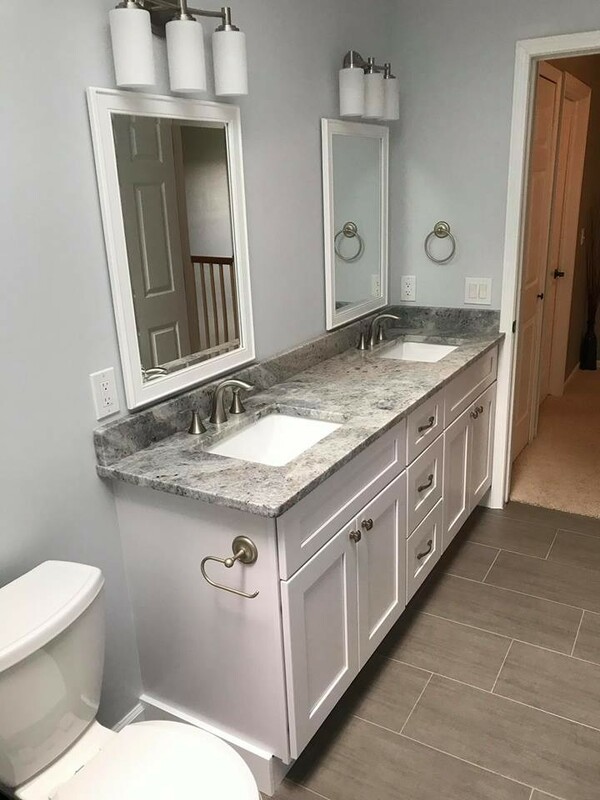 Trimmed mirrors to match cabinets, stainless lighting, fixtures and accessories.